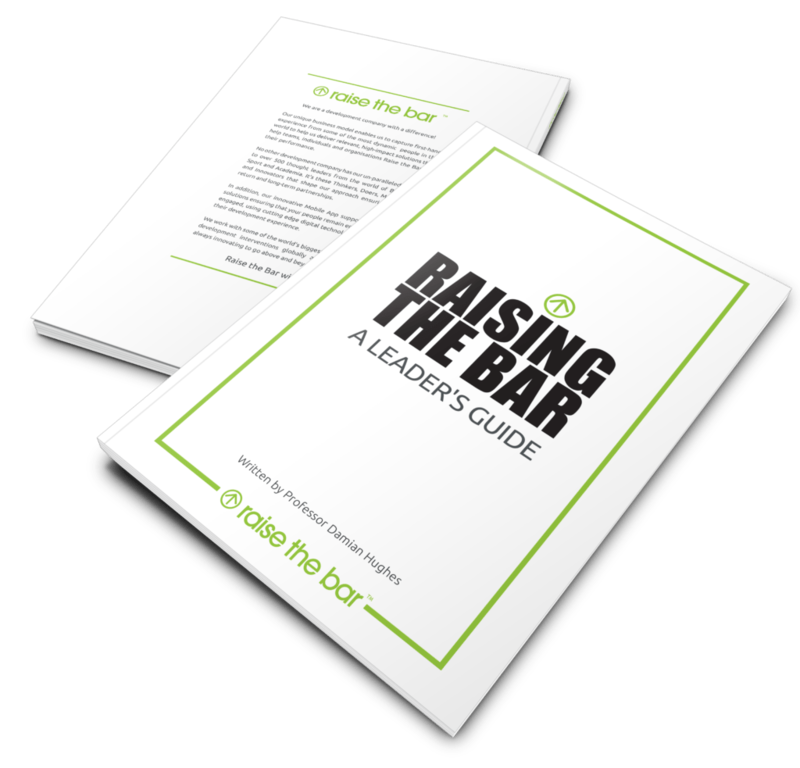 Based on real-life experiences, Raising the Bar: A Leader’s Guide gives twenty-five practical lessons and insights from the most engaging leaders on what you need to do to make the changes in your life and mindset that will help you raise the bar on your performance. Professor Damian Hughes is in huge demand as an International speaker and best-selling author of eight books on creating and managing change. 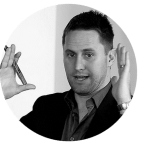 He combines his practical and academic background within sport, organisational development and change psychology to help organisations and teams create a high-performing culture. 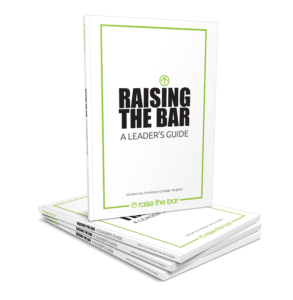 Damian speaks at conferences and events globally on how anyone can adopt the methods used by great leaders to achieve their own goals. He helps individuals, teams and organisations to achieve their development goals in areas including employee engagement, leadership development and coaching.From small senior leadership populations looking to guide and motivate their teams through a period of change to larger audiences who would benefit from an inspirational workshop to make the next step in their career or personal life – Damian’s powerful and relevant material ensures true, lasting impact. Read more about Damian. To order your copy for £8.45 inc. P&P within the UK included, simply click the link below. For International delivery please contact us. For orders of 10 books or more, please contact the office on +44 203 137 7353 to take advantage of a discount on your order.